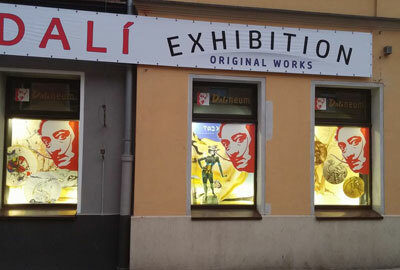 Following the success of this exhibition in Latvia and Slovakia, first time in Poland, original works by Salvador Dali, are now in Dalineum - Centrum Salvadora Dali, Poznań and this exhibitions is realized in partnership Art Expo S.I.A. Sp.z.o.o. with Collection Kesauri. Exhibition is open 03/03/2017 to 31/12/2017 and is featuring 112 original works of greatest master of our time. The exhibition "Hidden faces" is composed by exhibits from Collection Kesauri of original works made by Salvador Dali : Serigraphs on silk, tapestries, lithographs, ceramics, works in bronze, silver, applied arts, and also Dali’s and Gala’s personal items. The exhibition "Hidden faces" highlights the major key aspects of work of the greatest artist of our time - Salvador Dali and reveals unknown limits of his work. The aim of the exhibition is to help the public to see and understand how Dali materializes his views thanks to his special artistic language in the form of images, which often take an intangible aspect, but clearly are felt by spectator. The exhibited works demonstrate Dali’s creative side, which are unknown to a wide audience , but nonetheless which are essential for the understanding of his art, fantastic world and artistic techniques used by Dali to implement it in a variety of forms and genres. On this point particularly interesting are his designs. Personal items are also interesting, especially Necktie pins, undoubtedly made from Dalí’s layouts.